The Road Warrior. That was the title of Mad Max II. It has to be more than just coincidence that one of the newest items out of the HJC line so closely resembles both the name and the ethos! With the new HJC IS-Max 2 Helmet, motorcyclists will get a lid that combines comfort, fitment, and wide functionality into a modular option for any condition. Building upon the Advanced Polycarbonate Composite Shell of its predecessor, features such as an adjustable chinbar, advanced channeling ventilation system, and SuperCool moisture-wicking anti-bacterial liner all come together for an incredibly high bang-for-your-buck factor. For convenience, all cheek pads are interchangeable in all helmets so that you can assure yourself the most tailored fit for your needs. 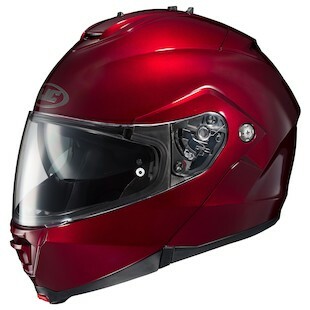 Additionally, this helmet goes all the way up to 5XL which should accommodate just about any motorcyclist on the road. For those riders who are looking for a highly functional, feature rich helmet that does not have a price tag dangling on the edge of the stratosphere, HJC offers up a great option with the new IS-Max 2.